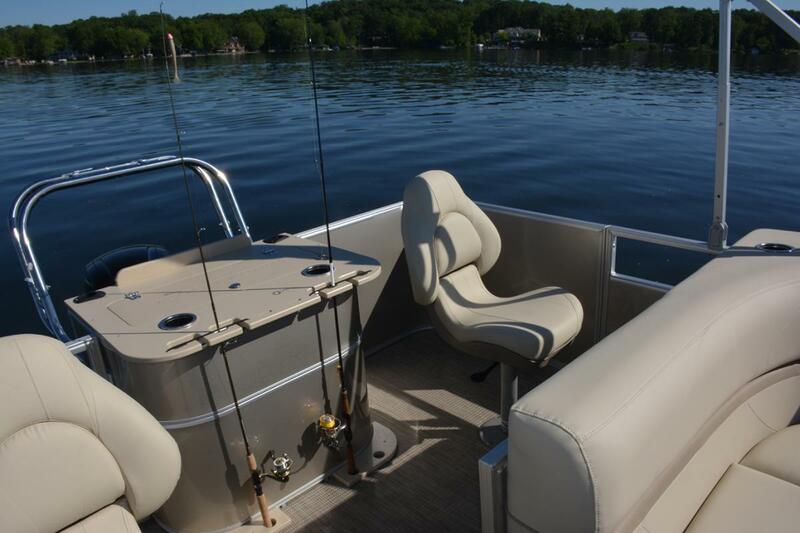 Our Geneva Fish series has the space and the comfortable seating to keep you on that hot bite all day long. 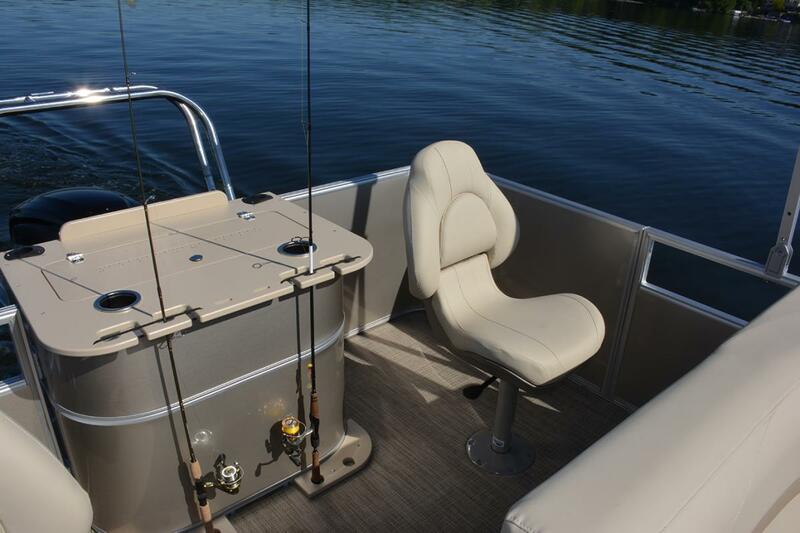 Pedestal-mount, swiveling fishing chairs, rod holders, an aerated livewell and a measuring tape to see whose catch is really the biggest are just the start of this versatile family fishing machine. 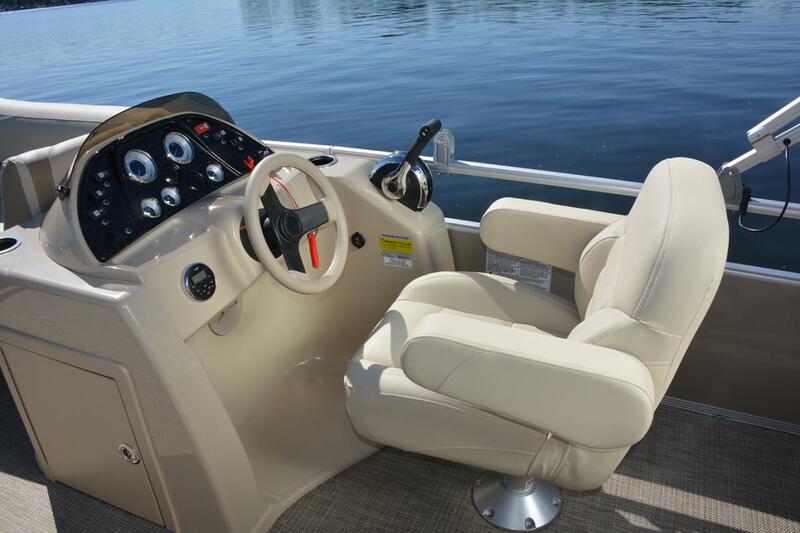 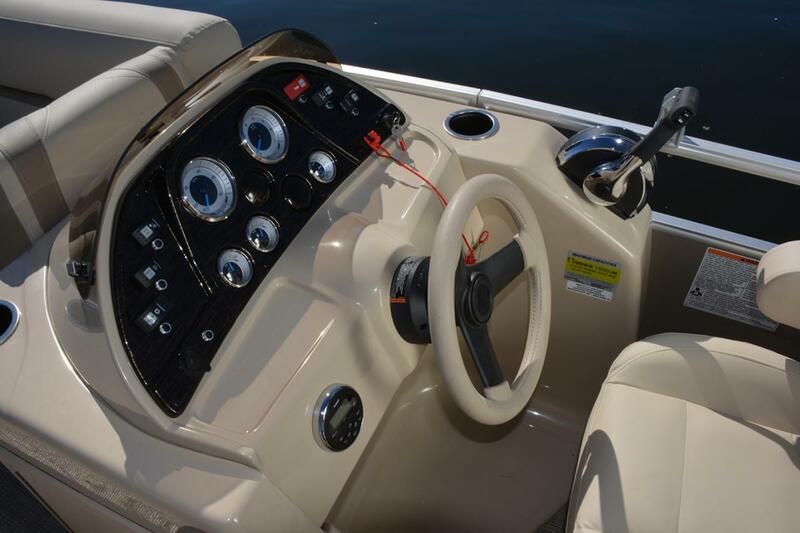 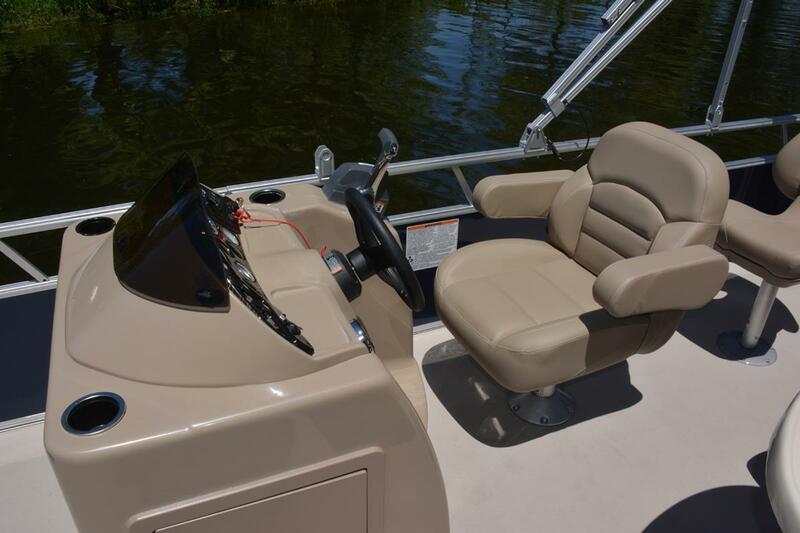 With plenty of seating, a big swim platform, a great stereo and beverage holders throughout, it’s also an ideal family cruiser for joy rides or picnics on a distant beach. 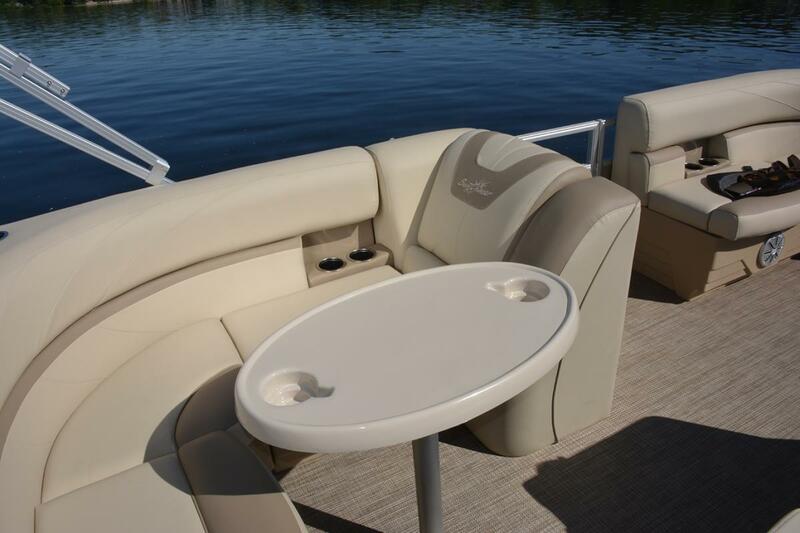 We know that versatility is important to you. 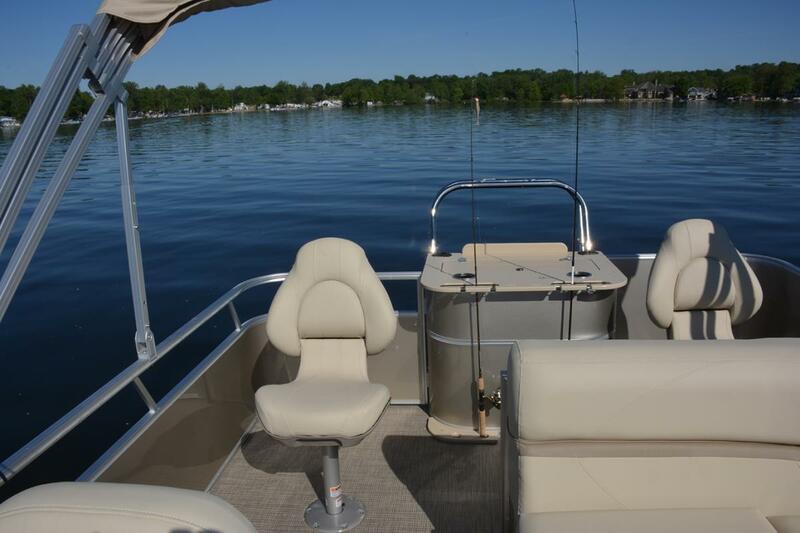 That's why we have a dozen different fishing pontoon boats available in the Geneva Fish series. 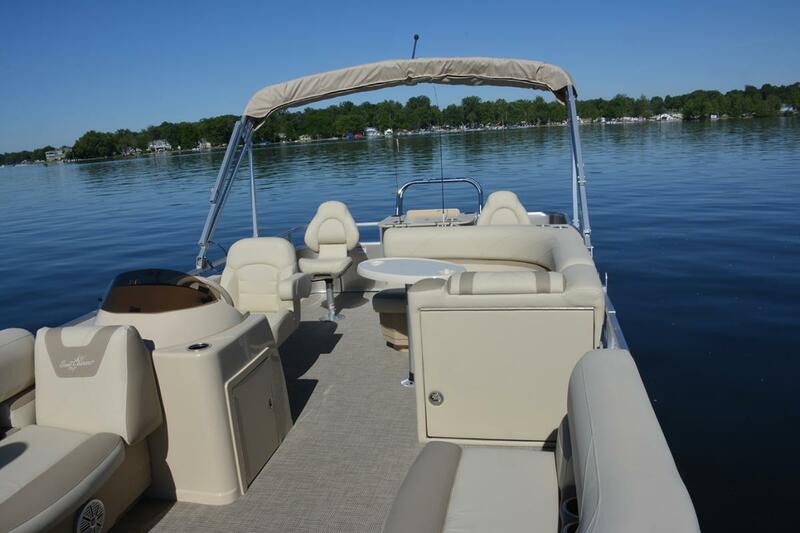 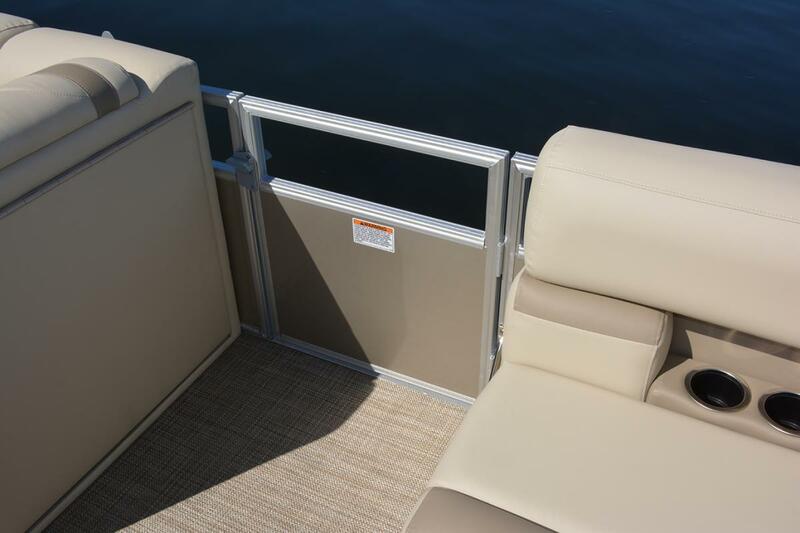 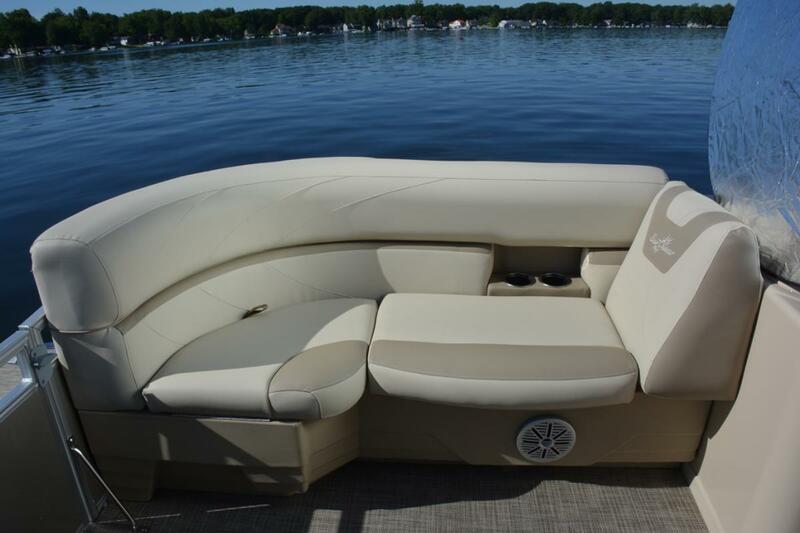 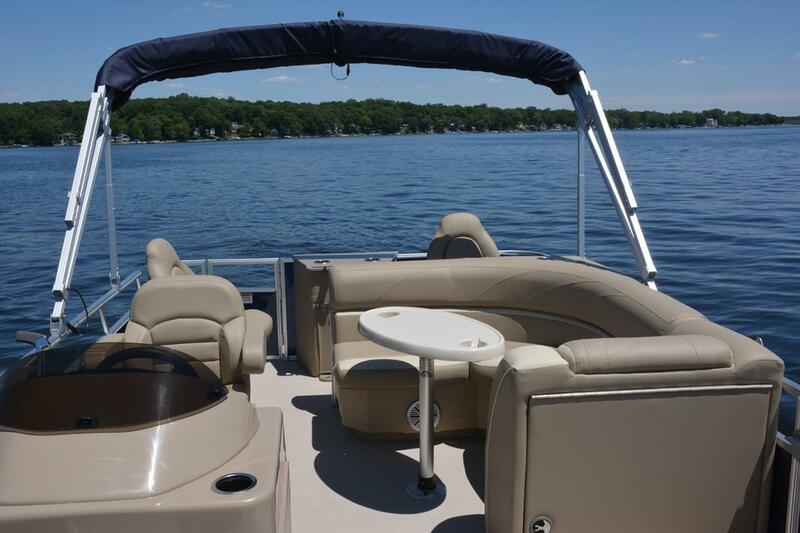 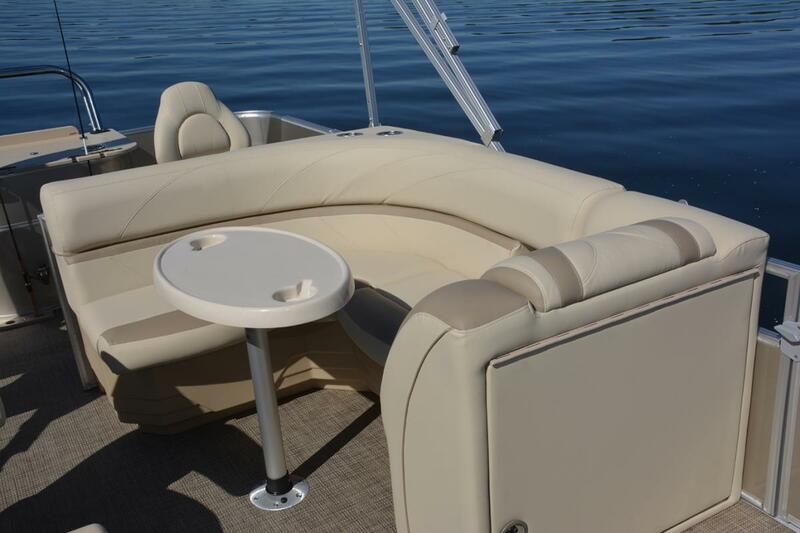 Pontoons that will get you where the fish are in comfort, and also allow you to have a fun day swimming on the water with friends and family. 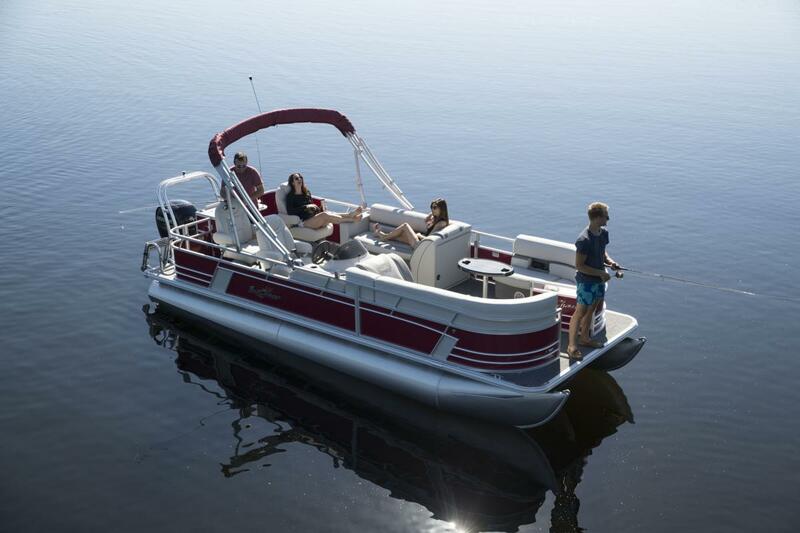 The SunChaser Geneva 22 Fish DLX pontoon boat lets you fish like a pro from two great fishing seats and still maximizes lounge seating for cruising and water sports. 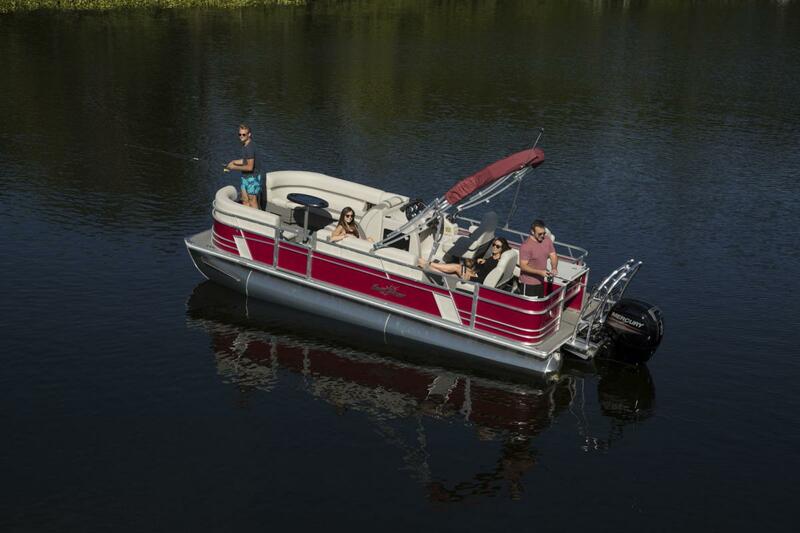 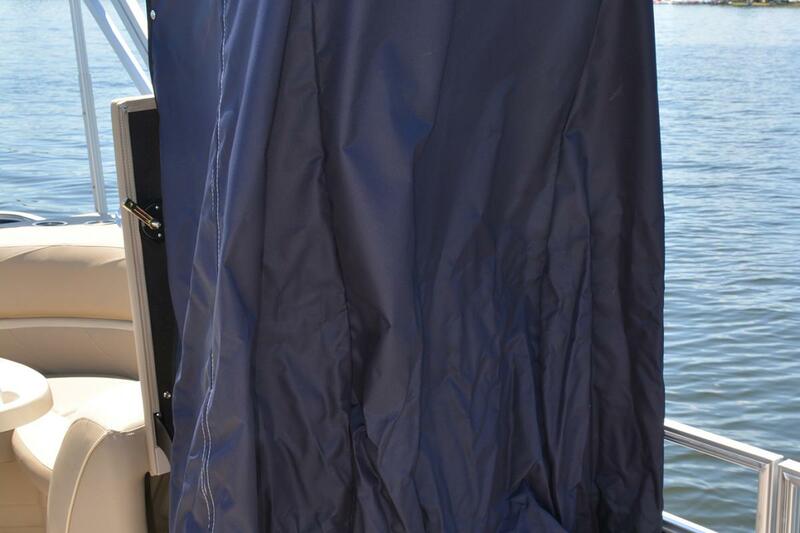 Features include a large aerated livewell, a flip-up changing room with space for an optional Porta Potti, a removable table with two table bases, a stereo with J-port and a color-coordinated bimini top. 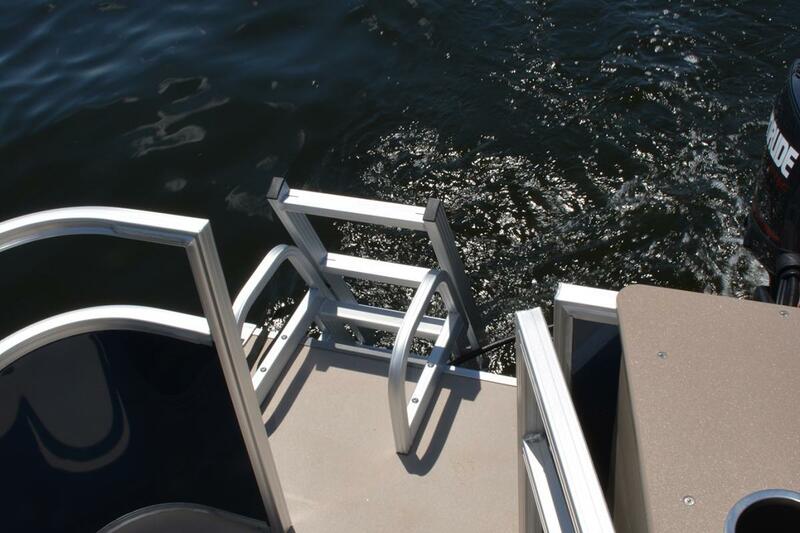 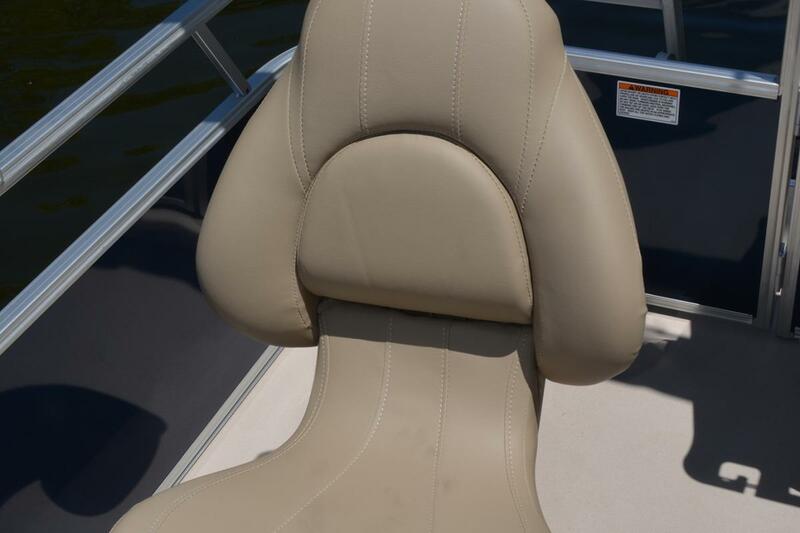 SunChaser rides on the unbeatable strength of hat-channel construction with more cross channels than other pontoons in its class. 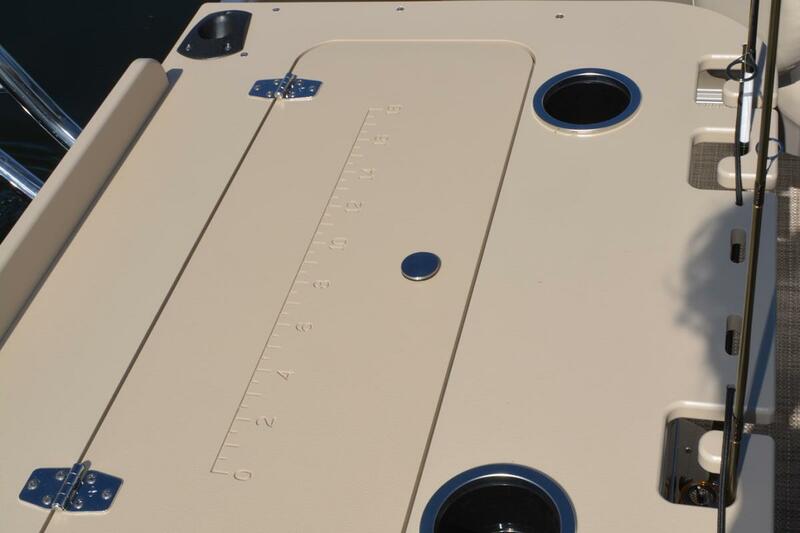 In fact, when you take a closer look at the details, you'll find that the true value of a SunChaser is in the quality of its craftsmanship.